Australia's popular outdoor cinema returns to Perth with a line-up of advance screenings, new release and cult movies. Grab the family and friends and enjoy popular movies like The Maze Runner, The Hundred Foot Journey, Dumb And Dumber To, Horrible Bosses 2, Lucy, Guardians Of The Galaxy, St Vincent and many more. If you're feeling thirsty or peckish, there are street food, snacks and beverages from the onsite food truck, candy bar and fully licensed bar. 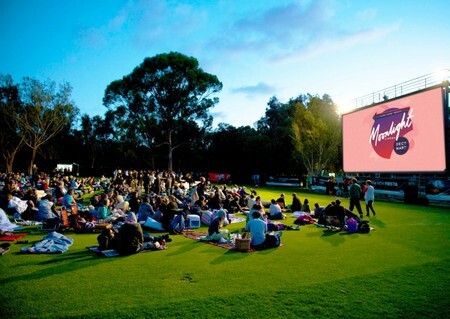 Moonlight Cinema is located on the lawns of Synergy Parkland in Kings Park and Botanic Garden. You can enter the cinema via May Drive. Gates open at 6pm and screenings start at approximately 8pm.